A Leeds secondary school has sparked anger among football fans in Leeds by offering parents the chance to send their children to watch Leeds United’s bitter rivals Manchester United. 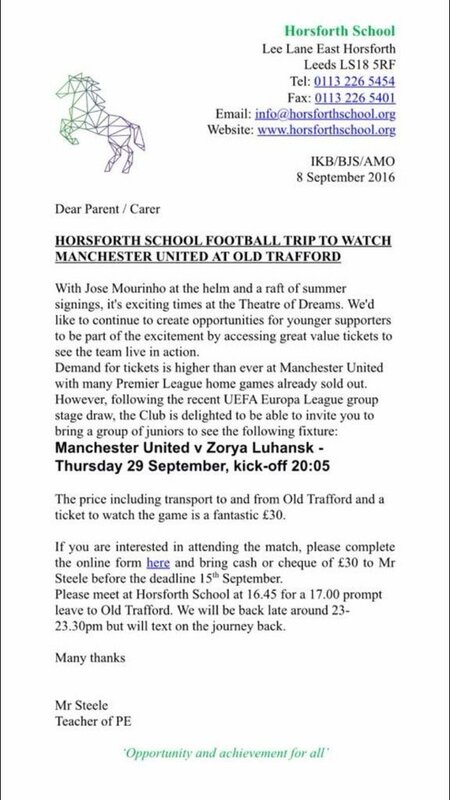 The invitation sent out by Horsforth School caused a stir on Twitter among Leeds supporters who objected to the idea of a school in the city sending children to Old Trafford. The match in question is Manchester United’s Europa League tie with Ukrainian side Zorya Luhansk. Leeds United has a long rivalry with Manchester United. 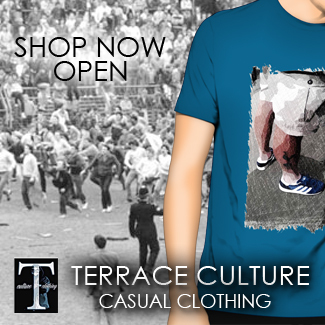 It reached a peak when Leeds beat Man United to the League Championship in 1992 before their Lancashire rivals then signed Eric Cantona. 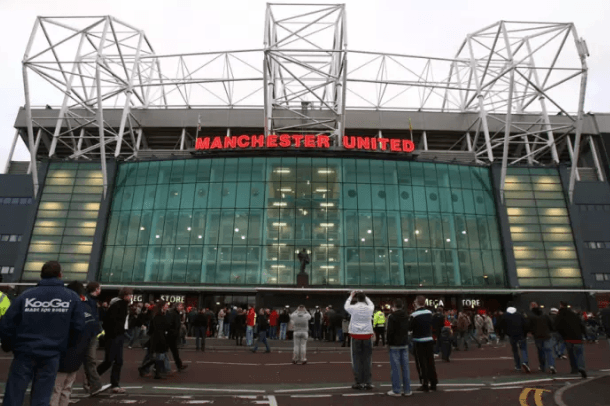 Fans are angered that a Leeds school would promote the chance to go to Old Trafford as a school trip. Former Horsforth School pupil Chris Gibson has written to complain. He told the Yorkshire Evening Post: “I am from Horsforth and have friends who have children there. I couldn’t believe it when I saw it. Schools should be supporting their local community.” In a letter to Horsforth School’s headmaster Dr Paul Bell, he wrote: “Your website and its home page clearly sets out a dedication to the local community, to keep engaged in the local community. How is this outing going to do that?… You are at risk of creating a divide.” Horsforth School declined to comment.